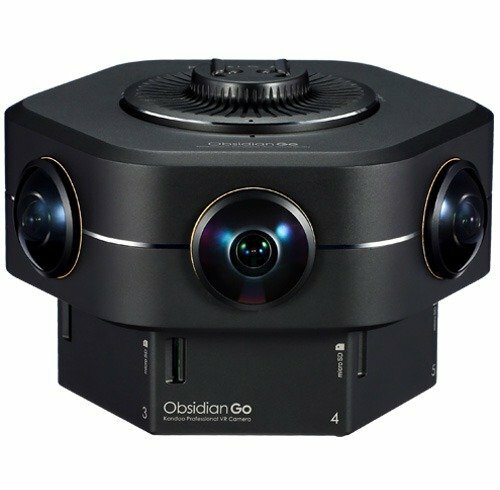 Obsidian GO is designed to be the first professional 3D 360 camera, which is a great option for both VR beginners and experienced virtual reality content creators. This professional 360 camera has 6 synced high quality wide angle fisheye lenses and super easy operation approach. It is a professional camera for VR productions which can shoot 4K video, 8K 360 photo(support time lapse), to let you enjoy the powerful imaging performance. Obsidian GO 360 VR camera works perfectly with Kandao Studio, the intelligent stitching software. High quality 360 cameras make you enjoy VR productions within few steps. 6 SD card slots, run 6 imaging modules in perfect harmony, achieve pixel-level synchronization. High quality wide angle fisheye lenses with bright f/2.0 aperture. Coordinated auto-exposure and white balance. Each HD video lens has 16 million pixels, back-illuminated CMOS sensor. 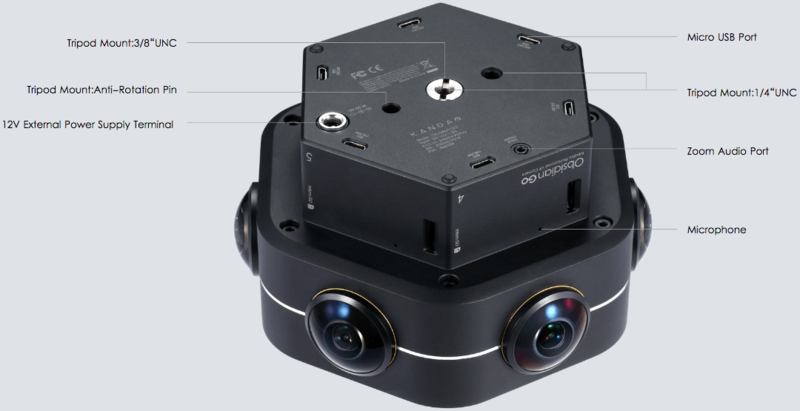 Each lens of the 360 degrees VR camera is fully and accurately calibrated, supports wifi, Bluetooth, long battery life. 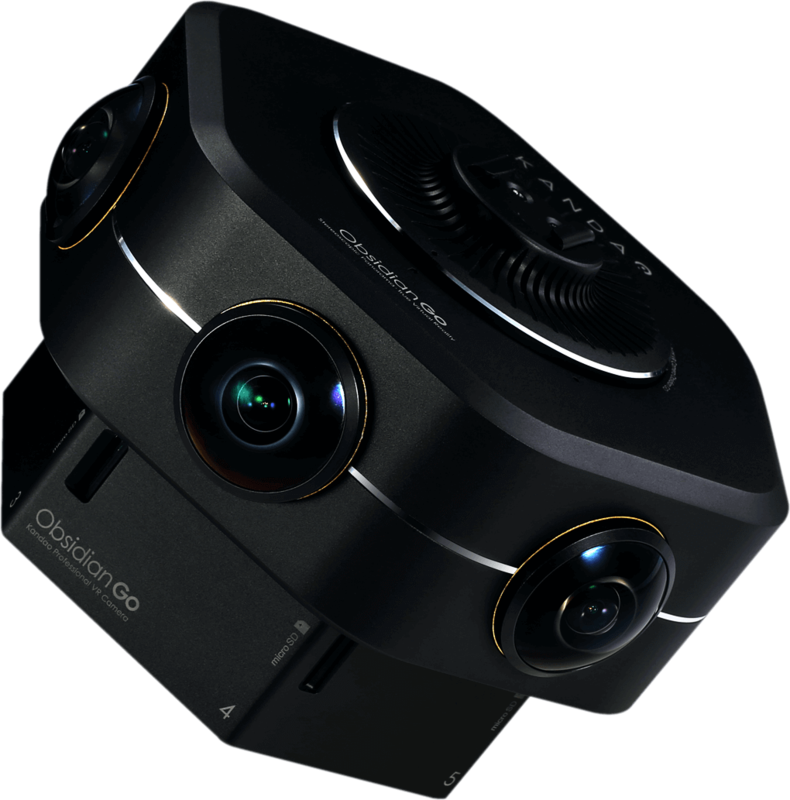 The 3D 360 camera Obsidian GO shoots up to 8K panoramic photos in both 2D and 3D, and shoots 4K VR video. 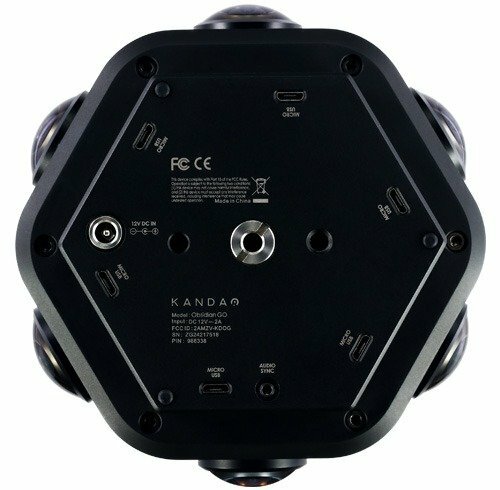 It generates clear impressive twoeyes VR videos and photos with rich details, which you can playback with Kandao VR player and VR headset. 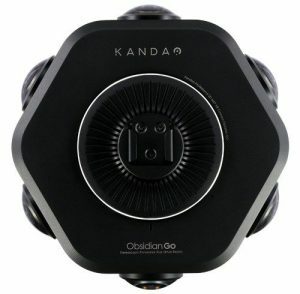 Kandao Obsidian GO is a kind of entry level professional camera. With only one button operation, the best professional video camera enables users to create a 360 degree photo or VR time lapse. To get a buying guide or price points, you can click here. 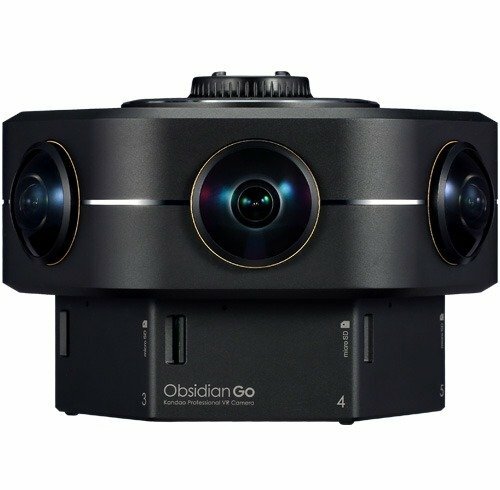 The obsidian GO is the best professional video camera for your virtual reality journey. This 4K professional camera offers reliable 4K 3D video recording with precisely synced HD video lens and automatic 3D 360 videos shooting system. So, all you need to focus on is how to get the best shots possible with this 4K professional 3D video camera. This 4K 360 camera can record videos like a professional camcorder. Obsidian GO pro video cameras provide real time camera adjusting and stereoscopic 3D capturing. Moreover, compared with pro camcorders, its recorded video is in 360 degree, giving people an immersive virtual reality experience. With simple steps, you can process your VR productions shot by this 4K 3D video camera and share it to social media, such as various 360 video platforms (Facebook and YouTube). 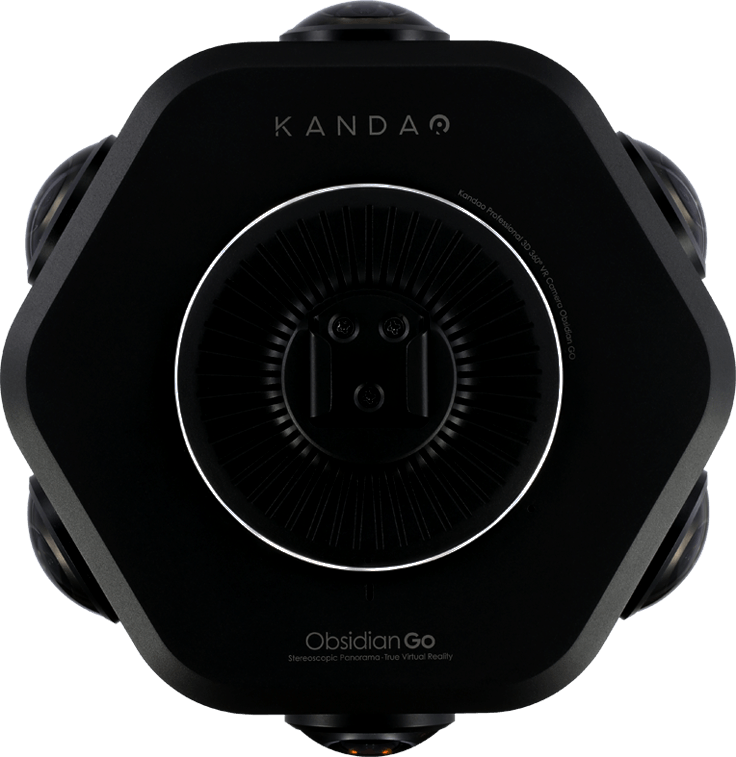 The Obsidian GO enables the creators or industrial innovators to easily adopt the latest virtual reality technology. They can integrate the 360 VR camera into content promotion and commercial applications, exercising infinite creativity. For example, the 360 camera for real estate helps agents better display room details. 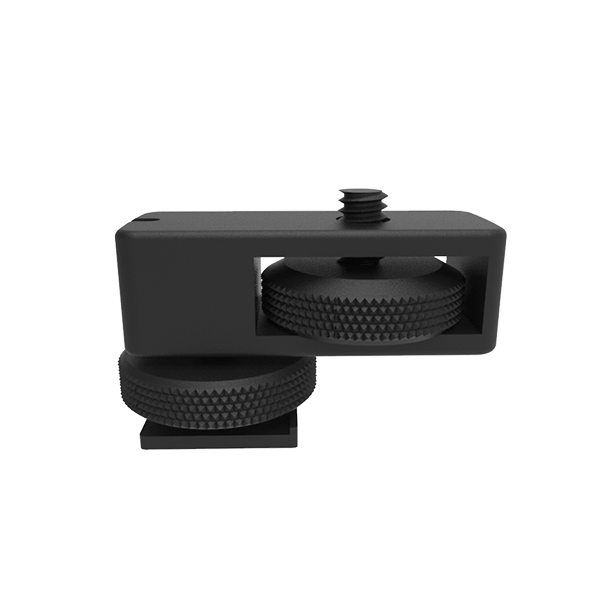 When creating a panoramic 360 photo, Obsidian GO digital cameras are easier to use than the DSLR cameras. The DSLR cameras have the digital zoom lens which supports 12x optical zoom, as well as tons of setting and parameters that need to be adjusted. But with Obsidian Go which supports manual control, you just need to press a button to get full HD 3D content. Later, enjoy the immersive image and HD video with 3D glasses. The 6 synced lens will capture and save the 360-degree videos and photos into memory cards. And they can be easily exported and auto-stitched with Kandao Studio. While, compared with professional 3D camcorders, Obsidian GO HD 3D camcorder is a camera with 6 imaging modules that can record 360-degree videos but also has a lighter weight. Pro camcorders need heavy shoulder mount when shooting a moving scene, but Obsidian GO 4K camera has built-in stabilization like action cams that can work compatibly with a Gimbal PTZ. Thus, they are not only hand held but also used on cars and drones. This is a cameras review of three different types. Our engineers develop Kandao Studio, a stitching software which is based on the deep-learning algorithm. With the help of it, the post-production of 360 VR photo and video becomes more efficient than ever. Just one click, you can manage the 360 degree stereoscopic 3D stitching like a pro. Obsidian GO 360-degree camera has a compact body with a light weight of 1 kg. 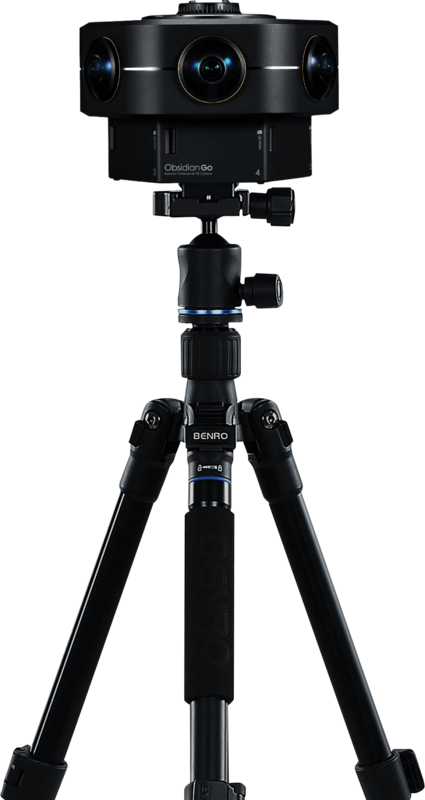 The pro video camera has image stabilization like action cams, can be hand held with a pro-level selfie stick or gimbal. It offers up to 4 hours 8K 3D photo shooting action and 2 hours 4K 3D video recording. Because this professional 360 camera has an advanced battery management system and long battery life. You can capture as many immersive 4K 3D 360-degree video and 8K high image quality photo as possible. This camera can be mounted on Cars and Drones to shoot in a whole new way. With three-button operation and remote control, Obsidian Go is one of the best professional video camera for you to be a Pro of VR shooting.